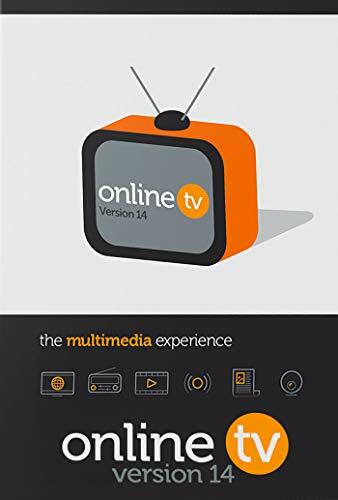 With OnlineTV 14, you can receive more than 150 TV stations from 16 countries! Stream English- and foreign-language TV programs from the Internet directly onto your laptop wherever you are – in a completely straightforward manner – for free. All radio and TV stations available on your laptop and on your PC! The PC software allows you to receive more than 130 stations from 11 countries – including English-language stations. This includes streams of all the public broadcasters as well as the best-known private English-language stations. In addition to this, you can receive more than 1,000 radio stations from more than 75 countries. Just came to let anyone who has OnlineTV 13 installed (just like me) an wondered (just like me) whether installing this newer version will overwrite the older one: well, you can decide. After you start the installation process it detects the older version and asks whether you want to get rid of that or keep it. A nice touch, I like this, because this way I know I can give the new version a try, but can get back to the older one if the new one doesn’t convince me. I hate when installing newer versions automatically throw out the older ones, great that this software doesn’t do that. OnlineTV14 is a cute program, I like it. Seeing there is Brexit around the corner, it could be useful soon if it is still available. I would be happy, if subtitles (especially, German Untertitel) were available when watching German TV. But my understanding is it is “unrealisierbar”, not an easy option. Unlike German programs which are absolutely perfect HD quality, the picture quality of most UK and US programs is rather poor. However, not to worry, you will be able to see the latest on the BBC News and get all the regular BBC deliverables. BTW, there’s no BBC 3 – CBBC is here; CEEBies instead of BBC 4. London Live – well, no way to get it. No recording of course, no sound and other snags. No sure it is entirely legal to make all these channels available for free. But if BBC et all get their royalties, then you could use it and even buy Version No 15 which I have not seen, but who knows maybe theres not goodies there. Pour la france seulement quelques chaînes et pas les plus intéressantes (et certaines ne fonctionnent même pas W9 par exemple). Les avantages du soft c’est sa fluidité et la qualité de réception (pour le peu qu’on capte hélas) . Le soft Captvt est totalement gratuit , moins esthétique mais bien plus complet concernant les chaînes TV. Je suis déçu pour un logiciel qui à la base est payant! I used version 13 last fall and upgraded to 14 in the hopes that FOX network would be added. No such luck. I will say that last Fall I was able to watch CBS on a Sunday and see what my local CBS would not show. I need not say more. If you like a news feed from several places around the world this is probably for you. I personally block all newscasts at home as I can get depressed enough on my own. This resource intensive version of freaking CNN in a multitude of languages is not for me. Install requires Windows Media Player, which is not included with Windows 10 any more. Won’t open without it. Uninstalling. Downloaded without problems (as always from this site). I received my personal license key within *seconds*. The installation was flawless. I just have to double-click on one of the tv channels on the left panel for it to load within seconds. I was looking for a free application to watch all the main British and German tv channels and now I’ve got it! A big thanks to ‘SharewareOnSale’ and to the publisher of this application. Top rating from me. Thank you. Online TV for locations around the world that mean nothing to me. Sorry devs but unless you can provide local content then for me this application really has no use. – I don´t guess, there is any other data beside that form german free TV plus a little bit of ARTE, france in french…?! beside this I found the tool very convenient because for me it appears well structured and worked since now flawless. Be warned: I could not find any progress in version 14 – which you will be a little be urged to upgrade to. The only slight progress seems to be that they dropped the need for an installed flash-player. Not a whole lot of channels its just news and stuff if you are living in america, defenitly not worth the download. Downloaded it, installed it, tried it, uninstalled it. Don’t waste your time! have the programs don’t work. You want free TV on your laptop or desktop. This software pales in comparison. Not worth the effort. An hour of time I’ll never get back. software pales in comparison (pales in comparison to…what? I had 14 tv stations displayed on the program , so not a lot of good for me. Toujours satisfait de c’est logiciels mis gracieusement à l’intention des membres. Always satisfied with it’s free software for members.